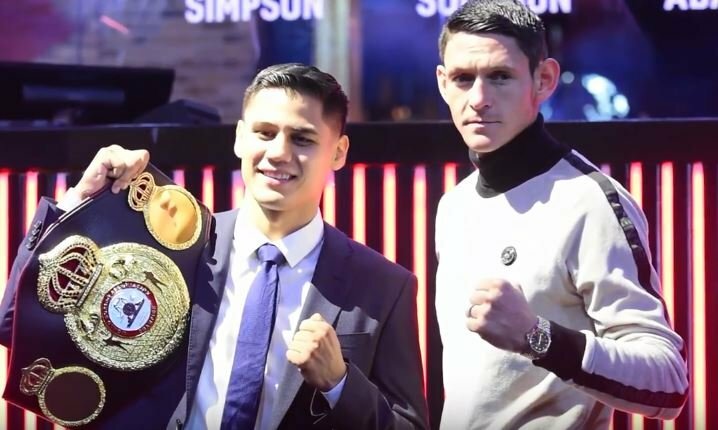 To complete the duo of British world title challengers in Chicago this weekend, Gavin McDonnell bids to become Super Bantamweight world champion at the second time of asking when he meets the vastly improving Daniel Roman. The taller McDonnell – twin brother of former world champion Jamie – has earnt his second title tilt thanks to back-to-back domestic victories over Gamal Yafai (W UD 12) and Stuart Hall (W UD 12). The difference in opposition was vast, with Yafai proving too green to face a well-rounded McDonnell, while the veteran Hall had seen better days, but gave his everything as always in one last effort to make it to the top again. When McDonnell 20-1-2(5KO’s) last fought for world honours, he was handily beaten over 12 by Rey Vargas (L MD 12), a man that both combatants tonight want to unify with early next year. On that night he was facing a man that had the physical advantages over McDonnell in terms of height and reach, but this time around it is Gavin with the upper hand in that regard, as he faces the Californian WBA champion in Roman’s 3rd defence. Roman’s early career setbacks were put behind him when he travelled to Japan to dethrone Shun Kubo (W TKO 9) in fine fashion. He would then seek another away day coup to start 2018 when he defended against Ryo Matsumoto (W UD 12) in his return to Japan. Then in his last outing he was far too good for Moises Flores (W UD 12), handing the Mexican his first career defeat – having previously took a No-Contest when knocked out after the bell in the opening round against Guillermo Rigondeaux. Roman 25-2-1(9KO’s) is on a hot streak, but he is not a notably heavy puncher, which will give a degree of confidence to McDonnell and his camp as they will look to set a tempo that Roman cannot keep up with. High work rate is what has brought so much success to McDonnell’s career, but in Roman he meets a fighter who applies a similar strategy. The champion threw over 1000 punches on route to clearly outscoring Flores, targeting the midsection with a large majority of those. Both are adept from range, and both allow their opponents to fall short before countering sharply. The belief will be that McDonnell will look to initiate the action more than Roman, hoping that his reach combined with a high output will keep the champion from having much success. Roman is likely to target the long body of McDonnell, coming in underneath with jabs, right crosses and uppercuts to the torso from mid-range. If those tactics have there desired effect, McDonnell will tire late on, and his legs will not be able to carry him out of range when Roman begins to target the head. This has the makings of a bout that will steal the show in the Windy City, with McDonnell racing out to an early lead. Roman’s body work will be picked up by the judges, and it will begin to slow Gavin down towards the 8th round. Once in a comfortable range, Roman will ease into control of the bout, but just when it appears that Roman has another title defence in the bag, McDonnell can resist the tide and return heavy leather in kind. The final stanzas will ebb to-and-fro as the crowd rises to its feet. Opinions will be split, as will the judges, with the champion Daniel Roman retaining his title.